Fauna Australis Wildlife Laboratory is a leading research group for applied conservation sciences led by Dr. Cristian Bonacic under the Natural Resources Programme of the Catholic University of Chile (Pontificia Universidad Católica de Chile – PUC); one of the most recommended universities throughout Chile. Fauna Australis was founded in 2001 by Dr. Bonacic and aims to conduct applied research on the conservation of wild endangered fauna in the southern cone of South America. A multidisciplinary research team, including agronomists, biologists, forestry engineers, geographers and veterinarians are addressing research on the current challenges of biodiversity conservation faced with global change. Former and current works contribute to the following main areas: ecology and vulnerability of endangered fauna, sustainable use of wild camelids, distribution and impacts of invasive fauna, productivity and ecology of agroecosystems, resolution of conservation conflicts, and ethnobiology in Aymaras and Mapuche communities. Professor Cristián Bonacic DVM. MSc. DPhil. Ana Muñoz (BSc, MSc). Laboratory coordinator. Alejandra Muñoz (BSc Agr, MSc). Assistant professor (adjunct). Ungulates conservation, sustainable Agriculture, ecology. Nicolás Gálvez (BSc, Agr, Msc, PhD). Assistant professor. Carnivores, conflict resolution, conservation biology. Tomás Ibarra (BSc. Agr, MSc Conservation, MSc Ethnobiology, PhD). PhD Conservation Biology, Ornithology, Ethnobiology. Dr. Cristian Bonacic, DVM. M.Sc. DPhil in Zoology (Wolfson college, Oxford University). 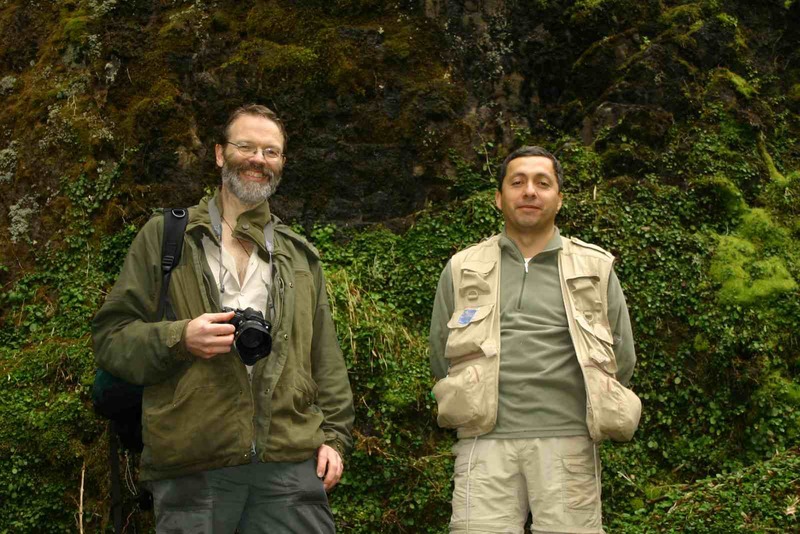 Professor, wildlife scientist and lecturer in wildlife conservation at the School of Agriculture and Forestry Science of the Pontificia Universidad Católica de Chile. Director of Fauna Australis. Head of the Environmental Science Diploma and of the MSc in Conservation and Wildlife Management. Member of the Wildlife Trust Alliance and associate researcher of the Wildlife Conservation Research Unit (WildCRU, Oxford) & Macaulay Land Use Research (Darwin Initiative project). Adjunct researcher of CERC, Columbia University. In 2007 received a Whitley commnendation for his work in innovation for conservation science from HRH Princess Royal at the Royal Geographical Society of London. “For the last 18 years, I have conducted research, teaching, leaded international ad national conservation projects, organised workshops, fieldwork and activities with local communities in several countries. My research interests includes sustainable use of wildlife, conflict resolution between people and wildlife, business and biodiversity, global change and biodiversity and applied animal welfare to wildlife conservation and control. Most of my projects are based in the altiplano, Atacama desert, Mediterranean ecosystem of central Chile, Temperate rainforests and Patagonia. But I also commit myself to report to decision makers nationally and internationally (IUCN, US Fish and Wildlife Service, European Union, The UK, Argentina, Bolivia and particularly in Chile). Dr Bonacic was awarded his professorship at The Pontifical Catholic University in 2015 and soon after began his sabbatical sponsored as visiting professor by The Tinker Foundation in The Nelson Institute at the University of Wisconsin in Madison, USA. Between March 2016 and March 2018 was the director of the Department of Ecosystems & The Environment at Pontifical Catholic University of Chile. Ministries of Agriculture, The Environment, Education and Economy of Chile. European Union, UK Government, German Government, US funds and international and national NGOs.